With DroidStats you can keep an eye on your phone consumption to avoid unpleasant surprises on your bill. 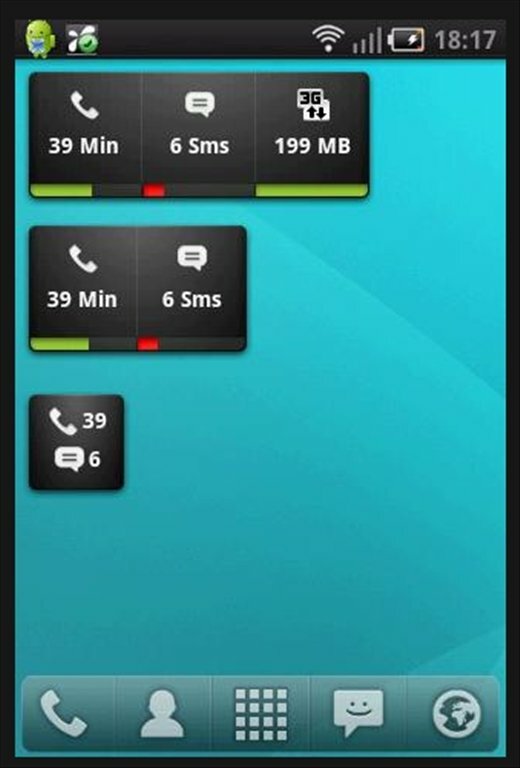 Control calls, messages and data transfers in order to not exceed the limits of your telephone contract, which would lead to a reduction of your connection speed or even to having to pay for the extra consumption. DroidStats provides you with very useful statistics and charts when it comes to following your costs. Furthermore, all the information is comfortably available by means of three desktop widgets that you will be able to configure with the information that interests you. Establish expense limits and receive notifications. 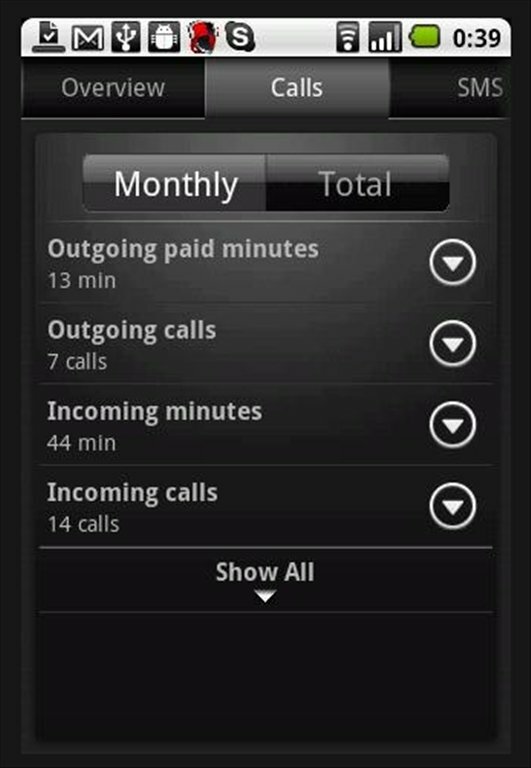 View a history of calls and messages with associated information. Create and restore backups of the application. Premium version with additional widgets. Indicate the conditions and limits of your contract on DroidStats and the application itself will warn you when you are about to exceed them. Download DroidStats for free and save with your Android.